Harting is using the Rinspeed concept vehicle at the Geneva Motor Show to demonstrate its fast charging cable and connector technology. E-mobility is gaining increasing momentum and importance in Germany as major carmakers seek to use an electro-offensive and reorientation of their model policy to actively and creatively shape the transport of the future. Globally active Harting Technology Group is a pioneer and technology partner of the automotive revolution. At the 88th Geneva International Motor Show (March 8-18, 2018), the company is demonstrating its efficient Fast Charging technology on the Rinspeed “Snap” concept vehicle. “We’re working together with the automotive industry to meet the challenges of the mobile traffic of tomorrow by using state-of-the-art technology, customised and environmentally friendly concepts and offerings,” says Marco Grinblats, Managing Director of Harting Automotive. 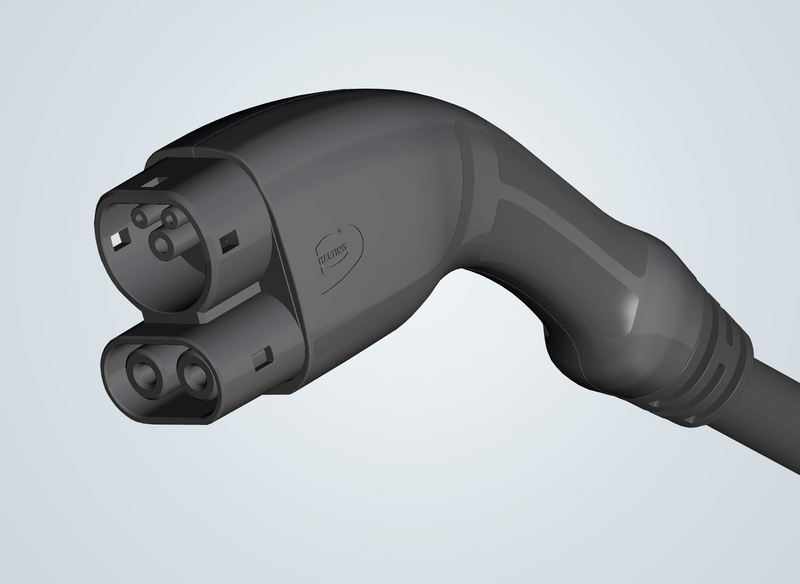 Harting’s fast charging technology, which debuted in 2016 at the Geneva International Motor Show, can particularly provide a strong boost for electric mobility since almost all new e-car concepts of the big OEMs rely on powerful fast charging in addition to conventional charging technology. Harting vehicle charging cables are available in the appropriate versions for all AC charging interfaces. As a result, they fit with the three different worldwide plug-in system versions. Customised products, e.g. plug systems for In Cable Control and Protective Device (IC-CPD), broaden the portfolio. Harting charging cables are available as a standard version with a cable length of four meters or with freely selectable sizes. “We offer tailor-made products for all relevant markets,” says Grinblats. Rinspeed and Harting have been successfully working together since 2016. Harting will use the “Snap” concept vehicle, which can be seen in Geneva, to demonstrate fast charging technology for efficient and environmentally friendly “refueling”. The revolutionary “Snap” is a unique mobility concept with interchangeable superstructure – depending on the application and customer needs. Harting and Rinspeed will also present the “Snap” concept vehicle at the Hannover Messe at the Technology Group’s booth (April 23-27, 2018 / Hall 11, Stand C15). Rinspeed boss Frank Rinderknecht is convinced that the future belongs to self-driving cars like the “Snap”: “In the foreseeable future, this will solve traffic problems, and not only in urban areas”. Given its many years of experience with connection and transmission technology for Data, Signals and Power, the technology group is always in sync with the times and is an expertise-driven, reliable partner of almost all national carmakers and major foreign OEMs. At the end of 2016, the Group became a direct supplier of VW with a specific e-mobility product and is now a Tier 1 supplier for BMW as well. “We are very well positioned in the field of e-mobility and are also intensively involved in standardisation,” says Grinblats.